The required student text for taking the Heartsaver Pediatric First Aid and/or CPR AED course in a classroom-based format. 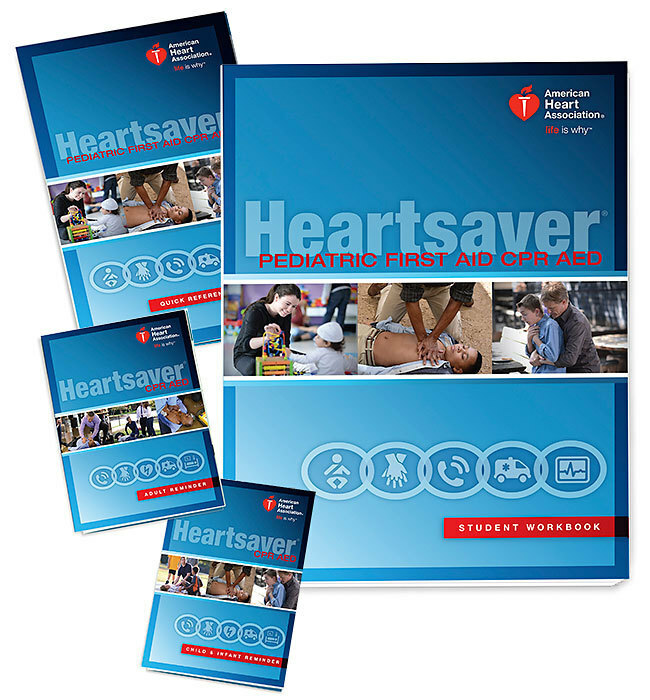 Full-color softcover, 200 pages, 8 1/2" x 11", plus two CPR AED reminder cards (adult and child/infant) and the Heartsaver® Pediatric First Aid CPR AED Quick Reference Guide. Based on the 2015 American Heart Association Guidelines for CPR and ECC and the 2015 American Heart Association and American Red Cross Update for First Aid.